Salads | eat. cook. blog. 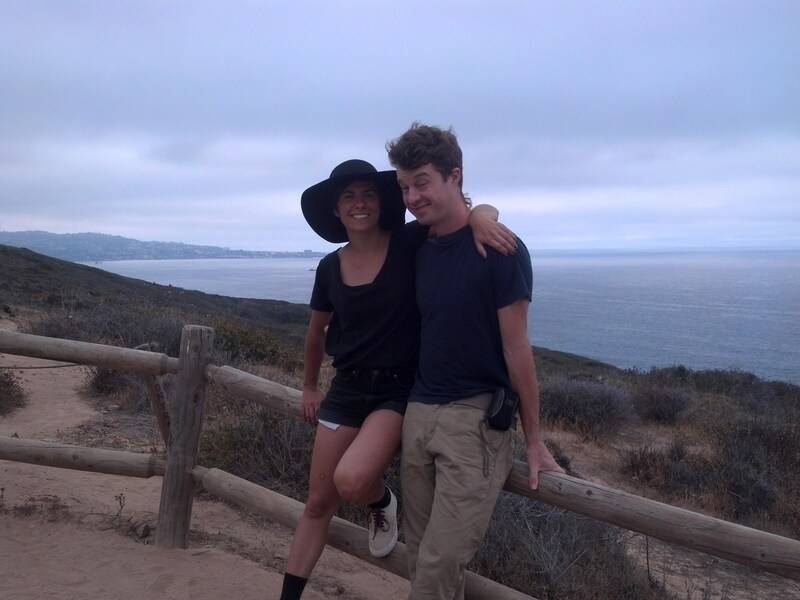 Our daughter Ally’s boyfriend Jackson spent quite a bit of time with us this summer. He and Ally were here at our house for a few days before we all headed up to Sonoma for our son Kyle’s wedding, where he stayed with us for a week. He’s a really wonderful guy and we like him a lot. And I give him all the props in the world for his “trial by fire” in meeting the whole extended mishpacha. All at once. And he did great – every single one of them had such nice things to say about him. Ally and Jackson met in New Orleans (where they are both living) and he is from North Carolina, so we haven’t met his family (Ally has – she spent Christmas with them last year). But a couple weeks after the wedding, I received the most lovely email from Jackson’s mom, Chrys. She complimented me on the blog. She said she has made a couple recipes and really enjoys finding out about our family through reading it. (Awwww!) She thanked us for hosting Jackson at our home and said that she wanted to send us some Cleveland County peaches. She asked if I knew if it was possible to send fresh fruit. I told her that it’s possible, but that I had learned from personal experience (via a “fruit of the month club” gift) that California’s department of agriculture won’t allow certain fruit into California (don’t even get me started on that! Let’s just say that the “fruit of the month” usually ends up being apples!) She said she’d look into it. I didn’t hear anything back and quite frankly, had forgotten all about it. Then a few weeks ago I received a package in the mail, from Chrys. 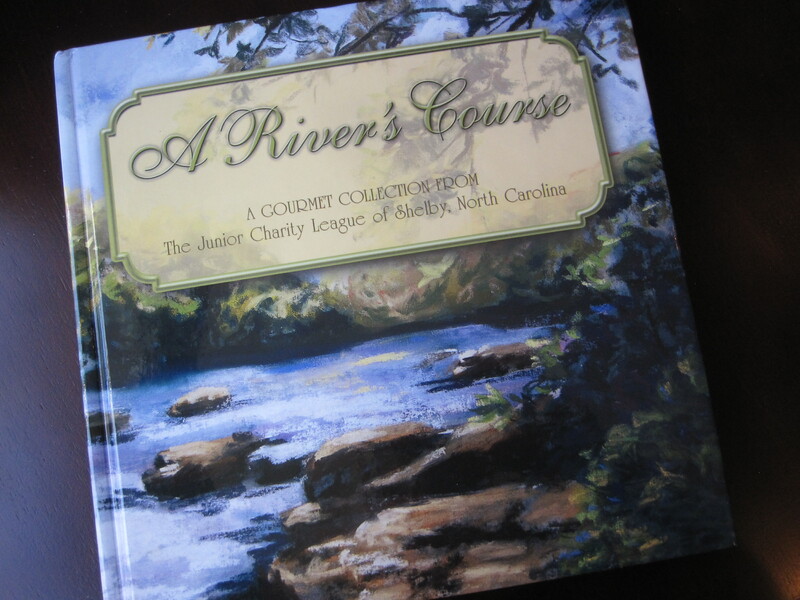 It was a cookbook called A River’s Course – a Gourmet Collection from the Junior Charity League of Shelby, North Carolina. It has the most beautiful cover that looks like an oil painting of a river. She wrote the sweetest note, too, telling me that, indeed the CA Dept of Food & Agriculture told her NC peaches couldn’t come to CA for fear of fruit flies. She said “Come to NC and we’ll take you to the spots pictured (& eat peaches!”). 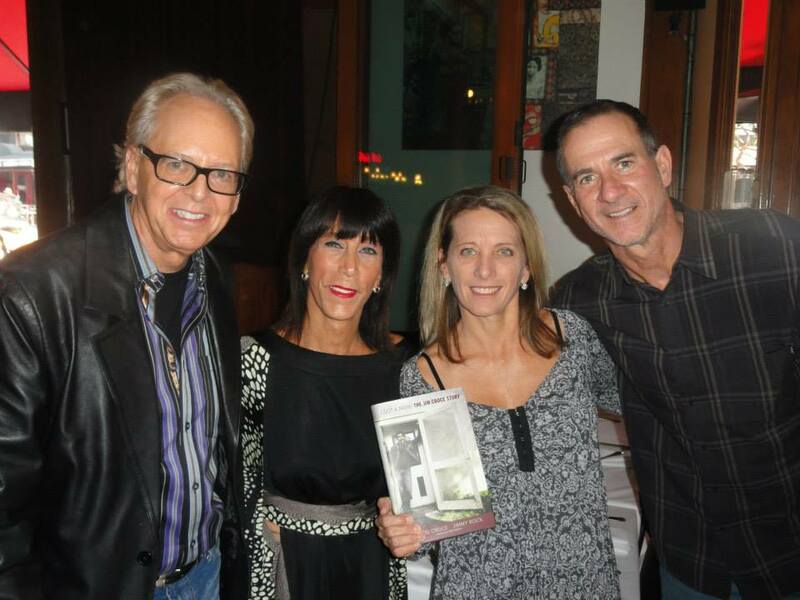 She also took the time to list some of their favorite recipes from the book, as well as the pages they’re found on!!! What a nice, generous and thoughtful person! Well, it just so happens that the day the book arrived was one of those days that I’m driving home from work thinking, “ugh, what are we going to have for dinner? I don’t feel like going to the store.” So I couldn’t have been more excited to receive a brand new cookbook!! I started thumbing through the book, hoping to find inspiration. I turned to the “Salads” section and saw a lot of delicious looking recipes that I earmarked for later, and then came to BLT Salad. Yum. Scanned the ingredients…lo and behold, I had everything! 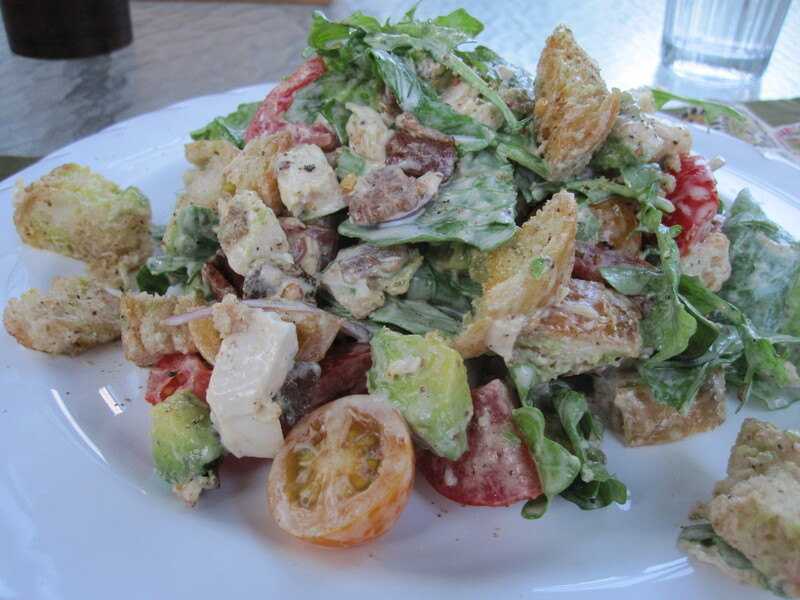 It’s kind of a cross between a BLT sandwich and a Panzanella Salad. 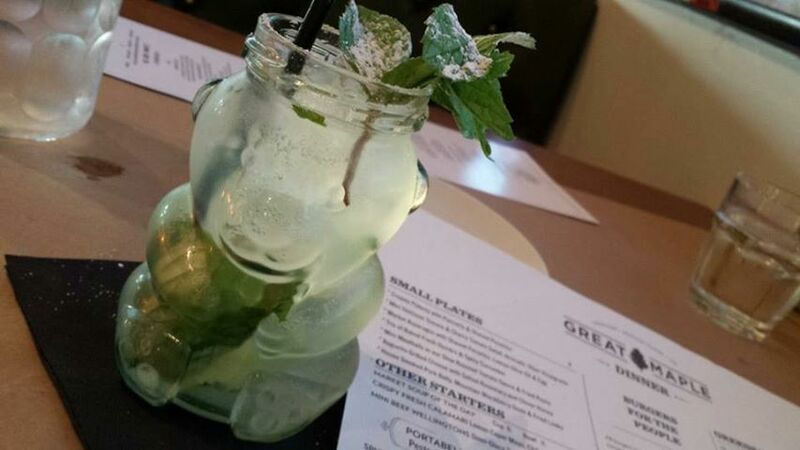 Really yummy. I added avocado and tossed in some leftover cooked chicken. It was a delicious, really easy, light weeknight dinner. Will definitely be making this one again. Often. Thank you so much Chrys (and Greg, Jackson, Emma and Katy)! I do hope to get to Shelby someday to see all of those beautiful places…and eat peaches! In a skillet, cook bacon over moderate heat until crisp. Reserving 1 tablespoon drippings in skillet, drain bacon on paper towels and crumble. Cut bread into 3/4-inch cubes to measure 1 cup. Heat bacon drippings over moderately high heat but not smoking and sauté bread crumbs with salt to taste, until golden brown. Transfer croutons to paper towels to drain and cool. In a small bowl, whisk together garlic, lemon juice, mayonnaise, water, salt and pepper to taste. In a large bowl, toss together lettuce, tomatoes, onion, bacon, croutons, avocado (if using) and chicken (if using), salt and pepper to taste and enough dressing to coat. Leftovers at my desk! Yum. Chinese Chicken Salad. It’s pretty much a staple on just about every restaurant menu and has been since, what, like the mid-1980’s? And it’s still a favorite. Wolfgang Puck makes one that he calls Chinois Chicken Salad. Fancy. And it’s served at all of his restaurants, from the most high-end like Jai in La Jolla (in fact, I just had one there in December, when Tony and I went to the La Jolla Playhouse to see “Yoshini Battles the Pink Robots” for my birthday) to the Wolfgang Puck Expresses you find at airports. 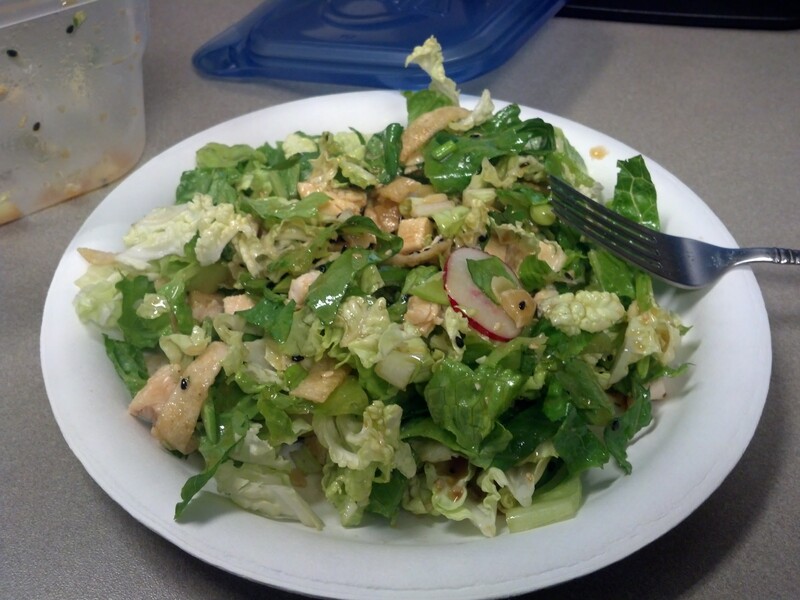 It was a delicious, light dinner and the leftovers made for the best yummy lunch at my desk the next day at work. With all the revisions I’ve made, it’s not so much Wolfgang’s original recipe anymore. 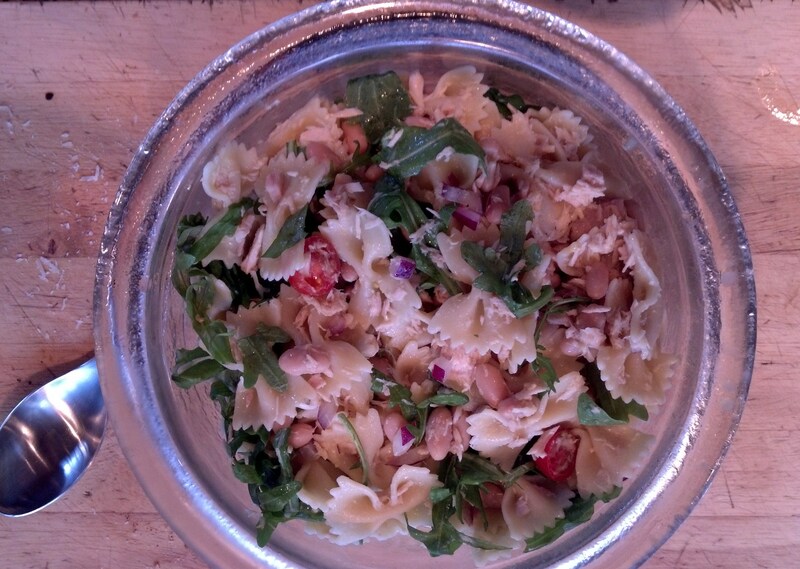 We’ll just call it Cheryl’s Chinois Salad and thank him for the inspiration! 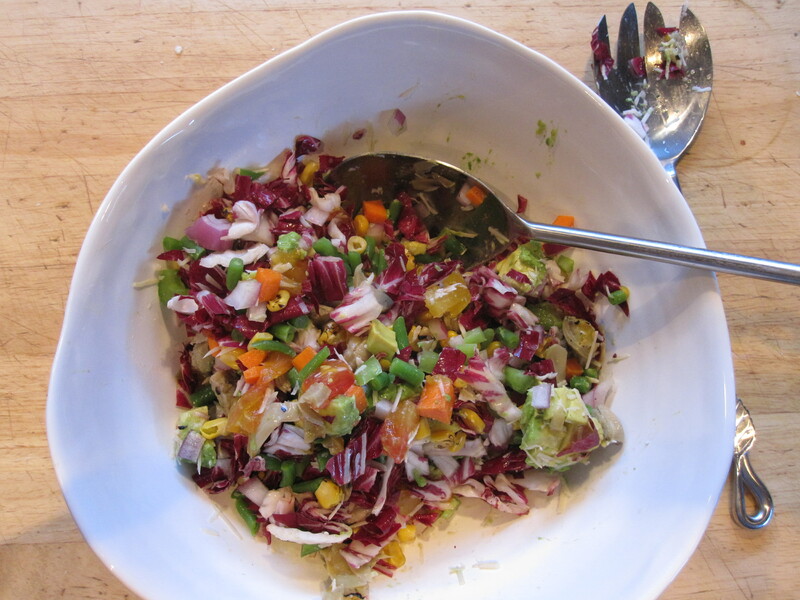 Salad: Gently toss lettuce, cabbage, snow peas, green onion, radish and cilantro in large bowl. Add chicken. 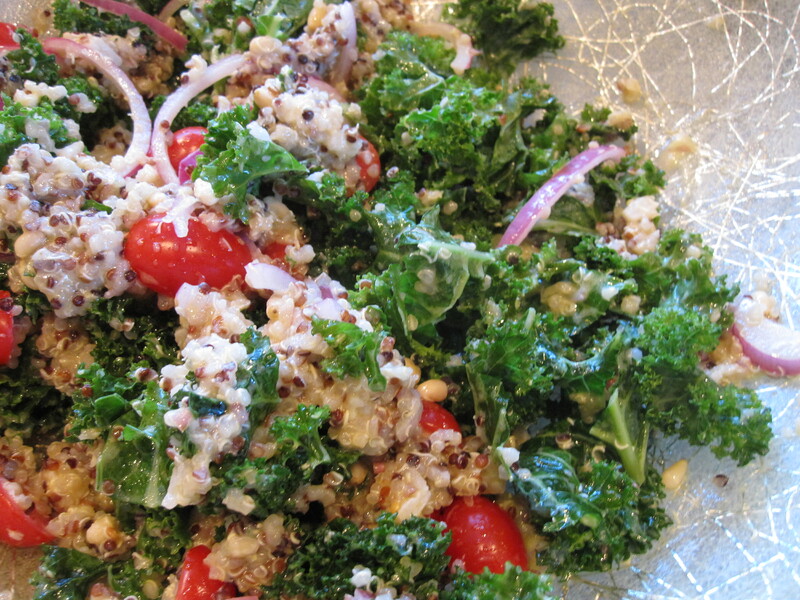 Toss with vinaigrette. Just before serving, add won ton strips, almonds and sesame seeds and toss again. Vinaigrette: Whisk together soy sauce, lemon juice, sugar, vinegar and mustard in small bowl, then add sesame oil and vegetable (or peanut) oil in a slow stream, whisking until sugar is dissolved and dressing is well combined. Season with salt and pepper to taste. We don’t eat a lot of steak, but every once in a while either Tony or I have a craving. (Tony more often than me.) And there’s a very good meat market (not that kind of meat market, an actual meat market, with real butchers behind the counter) near us and it is so worth it when you do get the hankering for a steak to splurge and buy from the guys at Iowa Meat Farms. So the other day we’re having our usual “what do you feel like for dinner” conversation (actually more like texting back and forth while I’m at work) and Tony suggests “how about steak sliders…I could grill one of those Tri-Tips from Iowa Meat Farms. On a good crusty roll, with horseradish mayo and some of your pickled red onions?” Sold. Sometimes the boy does come up with some good ideas. Which leads me to the Leftover Steak Salad. We did have some steak left over (weird, right?) and I really wanted to use it in some sort of salad. 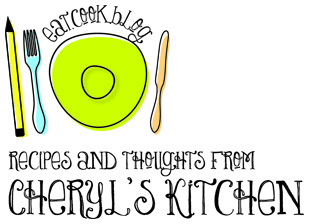 I thought about doing a Cobb Salad, but we had just had Cobb Salad (which, btw, will be a post soon), so I searched my favorite weblog (yes, Smitten Kitchen) and there it was. 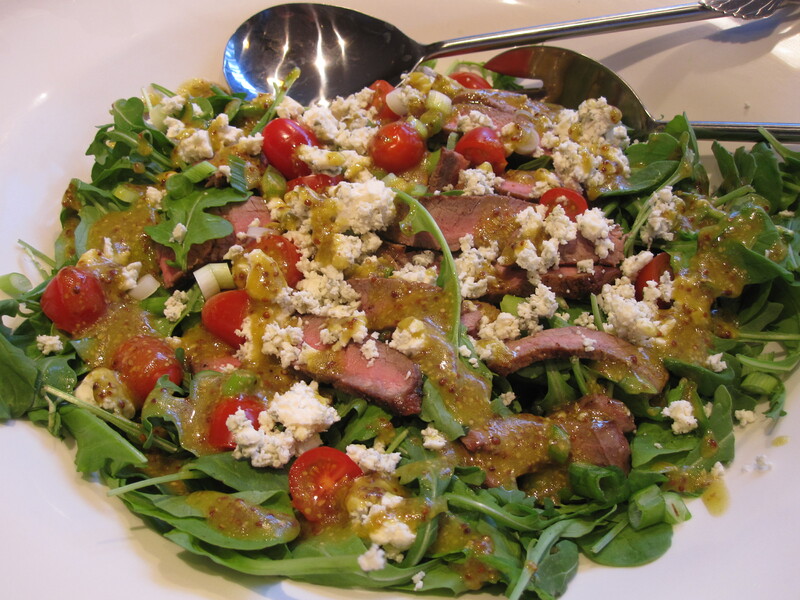 Skirt Steak Salad with Arugula and Blue Cheese with a “steak house vinaigrette” made with Dijon mustard, Worcestershire and red wine vinegar. Oh yeah. Really simple (especially if you already have the leftover steak) and really delicious. 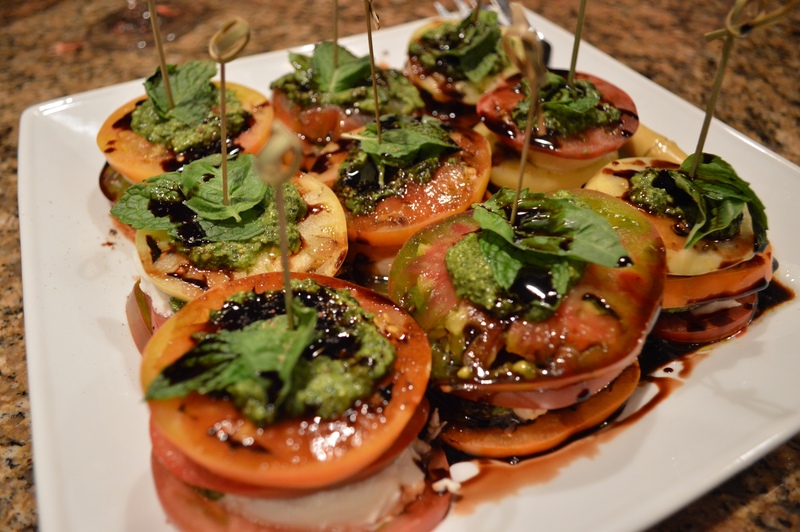 And, yes, it’s even worth going to the trouble to grill a steak just to make this salad! Pat steak dry and season on both sides 1/2 teaspoon salt and many grinds of black pepper. In a cast-iron skillet: Heat skillet on medium-high to high and add olive oil. When oil begins to shimmer, place steak in skillet and do not move it for 5 minutes. Turn it once, and cook for another 3 minutes for medium-rare. You may need to cook your steak halves separately, depending on the size of your pan. On a grill: Prepare grill for direct-heat cooking over hot charcoal or high heat for gas. Oil grill rack, then grill steak, covered only if using a gas grill, turning once, 4 to 6 minutes total for medium-rare. Transfer steak to a cutting board and let rest, loosely covered with foil, for five minutes. Arrange arugula on a large platter. Thinly slice steak on the diagonal, across the grain. Arrange over arugula, then toss halved cherry tomatoes and blue cheese over platter. Add vinaigrette to taste, then sprinkle with chives, scallions or red onion. 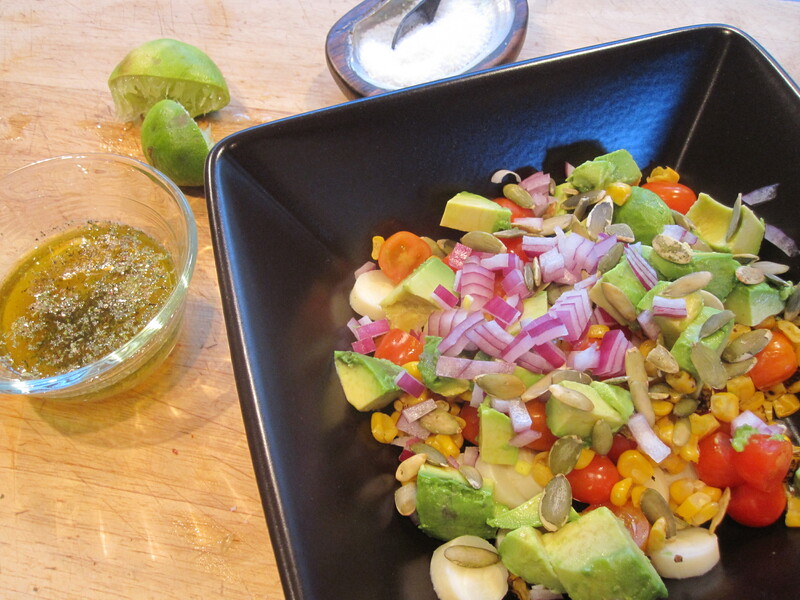 Serve with additional vinaigrette on the side. Whisk ingredients. Season with salt and pepper and adjust ingredients to taste. Cobb Salad is (yet another) salad we make very often in the Bruser household and it’s one of our favorites. Avocado, hard-boiled eggs, chicken, bacon…mmmm! 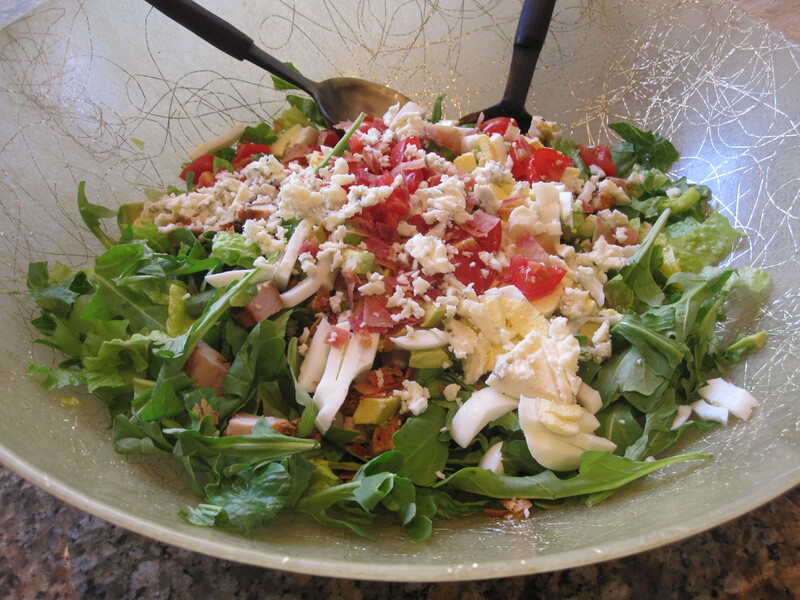 I had clipped the recipe (for Cobb Salad with Brown Derby French Dressing) from our local paper years ago. The last time I started to make the salad, I couldn’t find the recipe!! Aaagh. Of course, I know all the salad ingredients by heart, but not the dressing. I mean, I know what’s in there, and I could probably come pretty close to replicating it, but it was making me crazy. So I Googled and I found many versions of what every recipe calls “the original” and I learned a little bit about the history of the salad. 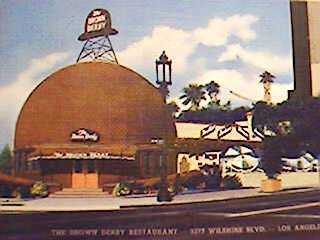 Seems the famous American classic salad was concocted in the late 1920’s by Robert “Bob” Cobb, manager of the famous Brown Derby restaurant (aptly shaped liked a derby hat) in L.A. This is the restaurant where the walls were covered with caricatures of famous stars. 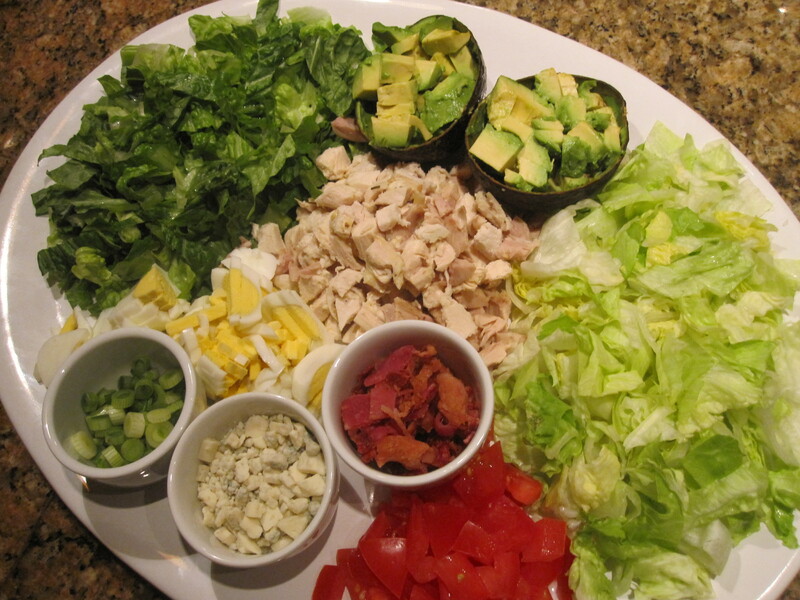 The Cobb Salad was one of the first “composed” salads that were soon copied at many other restaurants. 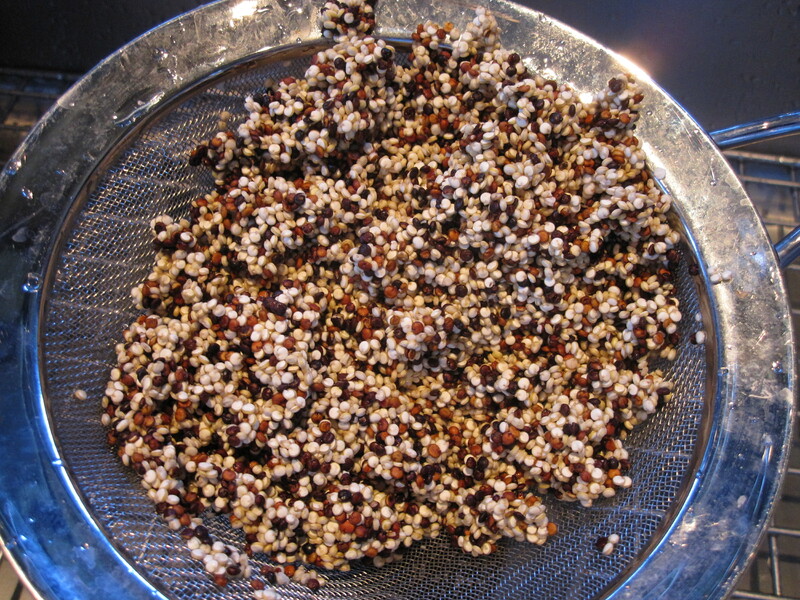 The Cobb is a chopped salad (ingredients are individually chopped into small pieces) and then arranged on a plate or shallow bowl with each ingredient in its own row or pile on a bed of chopped greens. (Oops! 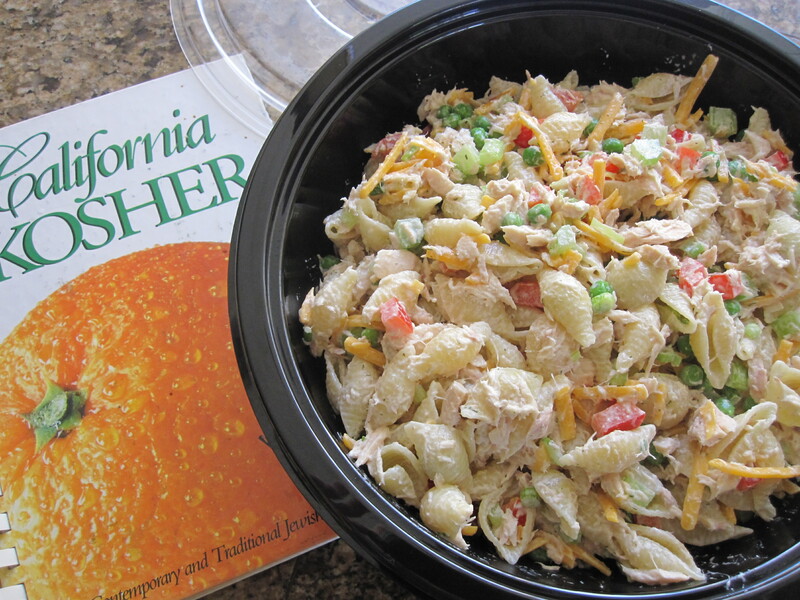 My bad…I’ve been making it as a regular tossed-in-a-salad-bowl-salad all these years!) The special French dressing is added and the salad tossed just at serving time. And it is traditionally served as a main course salad. The version we’ve been doing for ever! As with most recipes, I’ve tweaked this one a bit over the years too…with all due respect to Bob Cobb. Oh, and after reading about how this salad is supposed to be served, we tried the traditional composed presentation. A little more preparation, but very attractive and oh-so-old-Hollywood! 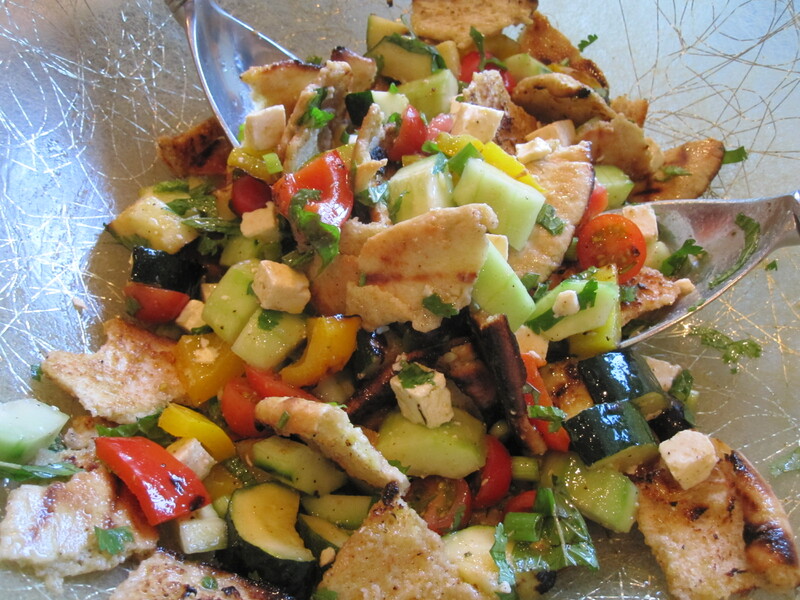 For the salad: Individually chop all the salad ingredients into very small pieces. Arrange decoratively on a serving platter or large shallow bowl or into individual plates. (OR, commit blasphemy and just put everything in a big salad bowl and toss together. LOL.) Drizzle with enough dressing to moisten. For the dressing: In a jar with a lid, place all of the dressing ingredients except the oils and shake vigorously to combine. Add olive oil and vegetable oil. Shake well again.